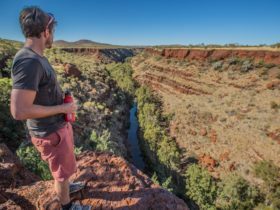 The moderate two kilometre Gorge Rim Walk follows the rim of Dales Gorge, in Karijini National Park, between Circular Pool Lookout and the beginning of the Fortescue Falls track. 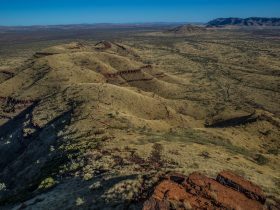 This Top Trail offers spectacular views and is ideal for those who don’t want to venture into the depths of Dales Gorge. The Gorge Rim walk commences from the car park at either end before approaching the lookout offering vertigo inducing views of Circular Pool. 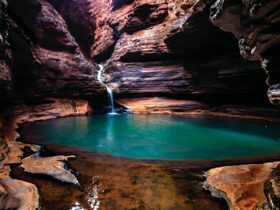 For the more adventurous, the steep trail down to the gorge floor to the sublimely beautiful Circular Pool, with its fern lined crystal clear pool, trickling waterfall and sheer rock face backdrop, is well worth the effort. 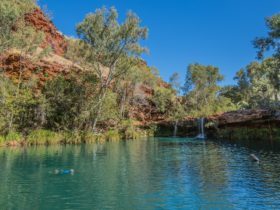 Walk from here to Fortescue Falls for a swim, traversing flat pavement like rocks, through glades of reeds, paperbarks and across shallow streams and pools. 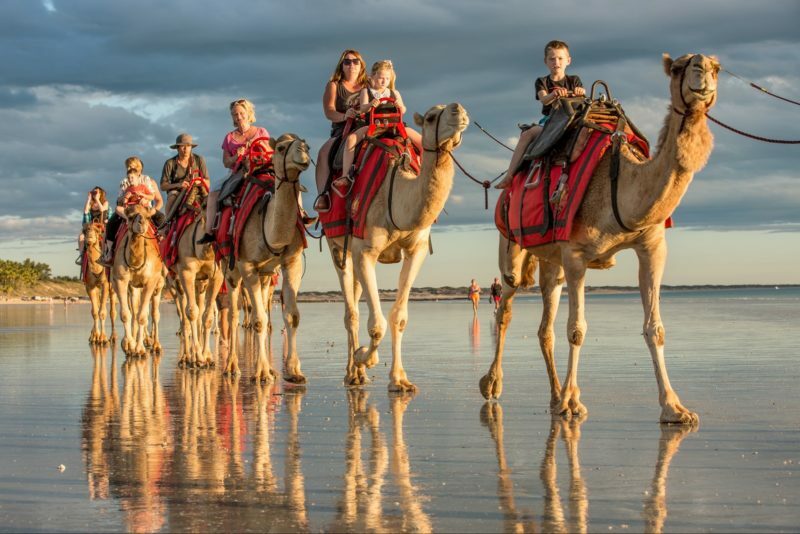 Negotiate the rocks above the falls and follow a shady trail to Fern Pool, another tranquil swimming waterhole of spiritual significant to the local indigenous people. Back at Fortescue Falls climb the steps back up the gorge to the car park. 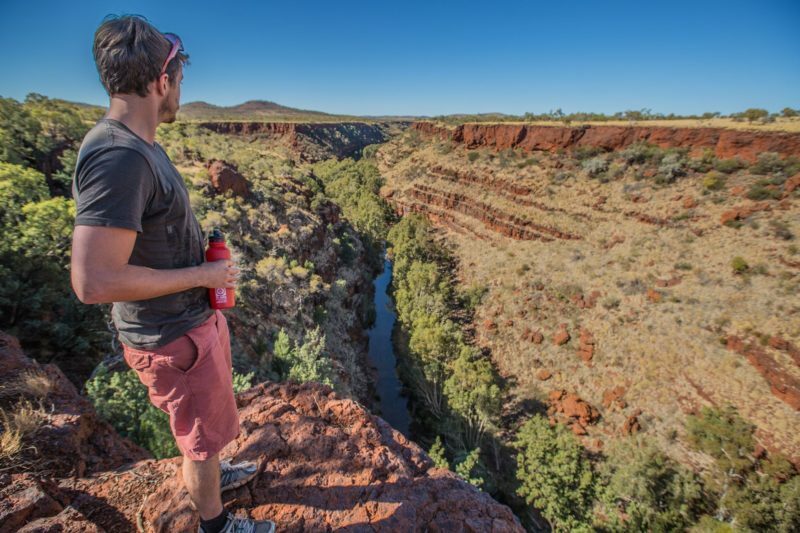 Karijini is a bushwalker’s delight with an incredible variety of scenery and ecosystems and a range of trails from easy to moderately challenging.